Few can argue the production acumen of one Danny Wolfers, better known to most electronic music aficionados as Legowelt. The Dutch prodigy’s steady releases have, for years, inspired us to dream and let our minds fly to the analog depths of space – guided only by the very nature of underground music; aversion to the status quo and relentless experimentation. Legowelt’s latest album, “The Paranormal Soul” on Clone’s Chicago-House-centric sub label Clone Jack for Daze Series is certainly no different! 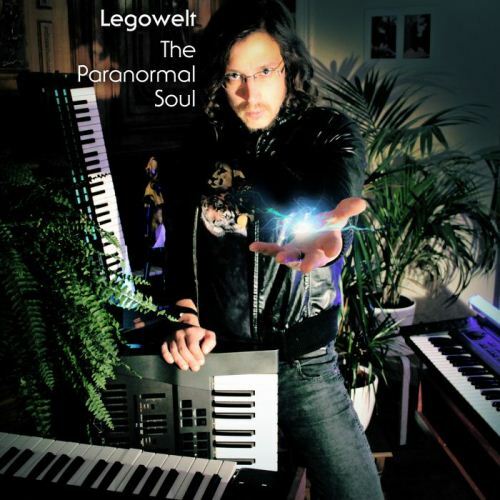 Legowelt thrusts us into his demented, clairvoyant world with the Halloween-esque pitched down vocal intro to “Danger in the Air.” With little notice, the intro’s tension is abruptly released as the relentless kicks and warm, analog staccato notes begin to hammer away at your psyche. If any track can be an omen for what’s in store for the continuation of “The Paranormal Soul,” this is it! “Danger in the Air,” as the album itself, in true Legowelt form, continues to build as more analog sounding synths enter the arrangement - twisting and turning, playing with perception through the use of long attacks and decays. “Clap Yo Hands” takes the baton and carries it with a syncopated kick drum and effective use of harmonies created by the backing vocals and the lead vocal, not surprisingly repeating the phrase “Clap Yo Hands.” “Elements of Houz Music” as the name suggests is somewhat of an homage to classic deep house tracks of the 90’s with the drive of a Chicago original. The subtle pad is masterfully juxtaposed with the meaty, growling Moog-like bass – whose depth and balance are undeniable. “Sketches from Another Planet” was a surprising cut, opening with a gargantuan, reverbed kick and building subtly, using a simple but highly effective echo-infused chord progression. The groove is accented with outer-worldly flutes, which tie the piece together and seemingly untie all links the listener may have to the physical world. “Renegade of a New Age” is another standout track which harmoniously joins the intensity of a rapid-fire analog bass, haunting vocals, and highly reverbed high-hats which dance through the matrix of Legowelt’s imagination obscuring time and reality. Although the album is undoubtedly a four on the floor journey from the peaks of Planet Rave to the drifting waters of the after hours, “The Paranormal Soul” is sure to resonate with connoisseurs of ethereal electronic composition. It would have been interesting to see a greater diversity in this full-length artist album. After all, every track was written in minor key and featured some variant of a 4/4 kick. Perhaps being left slightly hungry is exactly where Legowelt wants us – ready and waiting for the next chapter in this brilliant musician’s career.